I took a history class in the summer of 2011, it was HTS2007 history of the new south. We were assigned an essay comparing and contrasting a southern newspaper’s and northern newspaper’s reactions to a historical event. I picked Brown v Board, I figured there would be a pretty good contrast. 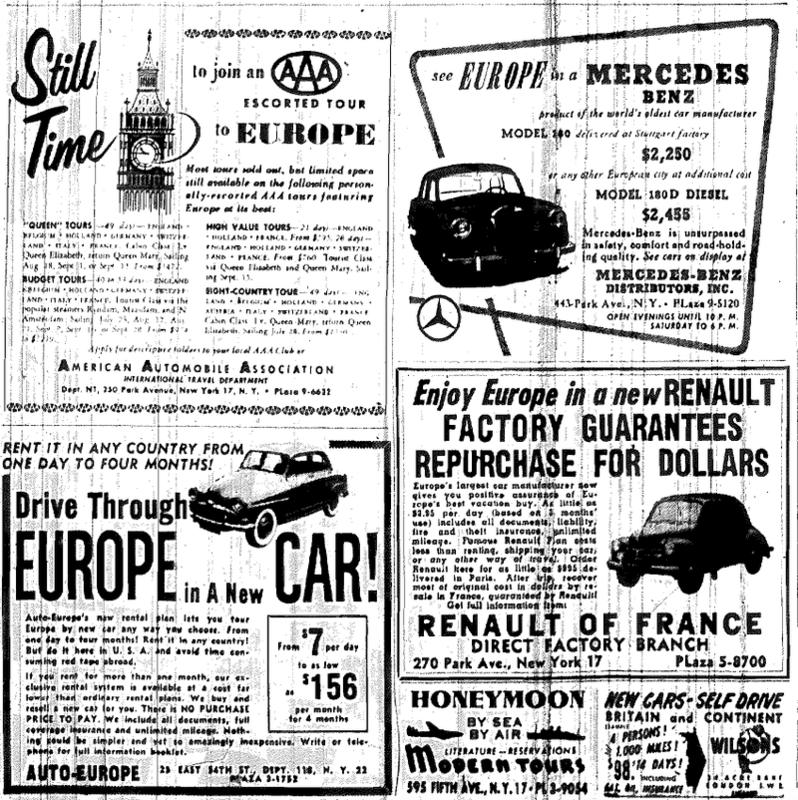 Looking at microfilm of the NY Times, I came across these car ads, I figured they were pretty cool so I included them in PDF I made of the news paper. I’ve shared this before, but I had a star when it was shared so it’s be awhile.